There are currently no London London, KY notable alumni listed. Be the first to add an LHS famous alumni. If you know someone who graduated from LHS in London, KY that has passed away, you can create a memorial for them. There are currently no memorials for London London, KY alumni. This site has been created for the former students of London High located in London, Kentucky. If you are a former student of London in London, Kentucky, register now to add your name. Don't forget to upload your London High School pictures and check on the latest info about any London High School reunion. Royce Tripletf has someone searching for them. Danny Hibbitts has someone searching for them. Ronnie Owens has someone searching for them. Walter Meyer requested a LHS yearbook from 1970. Walter Meyer registered as a LHS Class of 1971 alumni. Anna Hedrick Mullins registered as a LHS Class of 1960 alumni. 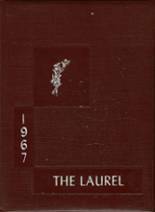 Anna Hedrick Mullins requested a LHS yearbook from 1960.